The emperor of the enchanted Faerie Realm has been murdered and now Pyrgus, his son, is the Emperor Elect. As Pyrgus contemplates his new responsibilities as emperor, his father's body is stolen! Hairstreak, evil leader of the Faeries of the Night, and his wicked henchmen have resurrected it as a zombie and plan to take control of the kingdom. Pyrgus and his courageous sister Holly Blue are banished from the realm and stripped of their magical powers. 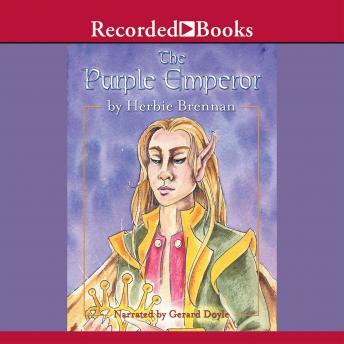 Herbie Brennan, author of more than 90 books, has been published in over 50 countries. This sequel to Faerie Wars, a New York Times best-seller, is packed with demons and mystical creatures that will enthrall fantasy fans.